Monthly Giving – UNITY, Inc.
As the final days of 2015 comes to a close, we want to thank all our financial contributors for helping make this year one of UNITY’s most successful in our 39 year history. 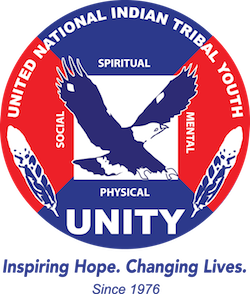 For those who would like to still contribute to the advancement of Native American and Alaska Native youth through leadership development, you may still make an on-line donation to UNITY by December 31. Whether it be $1, $50, $100 or more, every dollar counts! UNITY is a 501(c)(3) tax-exempt organization and your donation is tax-deductible within the guidelines of U.S. law. Your generous gift helps to continue UNITY’s mission and investment into Native youth leadership development through trainings, workshops, webinars, conferences and more. We thank you for your continued support and look forward to celebrating 40 years of UNITY with you in 2016. You may make your contribution online HERE.